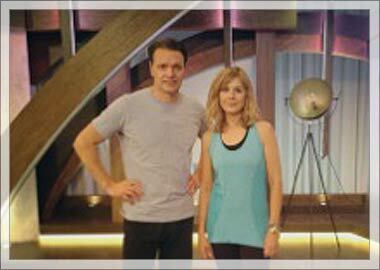 The 1st January saw me on QVC with my Yoga DVD! It’s always a bit nerve wracking doing something for the first time but I was wonderfully supported by my favourite yoga teacher Howard Napper, my partner on the DVD. We actually had a hoot with all the other people who were on the same hour as us. Leading the pack was Christine Hamilton who was such fun and an absolute natural on screen.